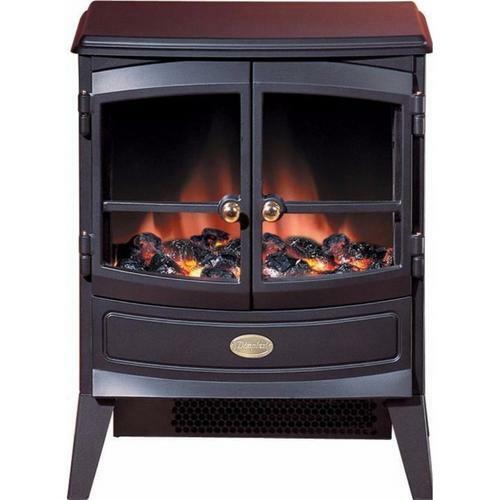 Traditional Style Cast Iron Stove Fire with Coal Burner effect finished in Black is an ideal Heater for use all year round. Comes with two heat settings (1kW and 2kW) and Optiflame technology for a real Authentic Stove Feel. The Springborne Stove features heat and flame effects without the mess of a traditional stove. With opening doors, lighting effects, low sound output, and that real fire warmth, the SBN20 is as close to the real thing as it gets! Since its introduction in 1988, the Dimplex Optiflame effect has been perfected for use in homes all over the world, featuring in many mainstream television networks and home interest exhibitions. This model also includes a remote control - perfect for adjusting your room temperature from the armchair or sofa. Fire is good looking and sends out a lot of heat but a bit noisy. hello, I would like to ask if you know how much it will cost to work it for an hour, with the today uk standard on energy cost. Thank you. Electrical World Replies: The lamps are located behind the back panel. To gain access to the lamps, the screws which secure the back panel, must be removed. Remove and slide out panel. Remove the defective lamp by unscrewing it. Replace with a 60W E14 SES Clear candle lamp. Take care not to over‐tighten the lamp. Refit the back panel and secure with the screws.